Persons with disabilities in St. Thomas will benefit from free health services at a health fair on Friday (July 21) at the Yallahs Baptist Church. The event, from 9:00 a.m. to 4: 00 p.m. is being staged by the Dorman family in collaboration with the Jamaica Council for Persons with Disabilities (JCPD). Services to be provided include medical examinations; blood pressure, blood sugar and cholesterol checks; hearing tests; and counselling. Executive Director of JCPD, Christine Hendricks, welcomed the partnership in providing much-needed health services to persons with disabilities (PWDs). She said it will also enable the entity to reach persons, who are not yet registered with the council. “JCPD was approached because we are the organisation that would have the majority of the clients with disabilities, so we were more than happy to partner with them because our registration continues. Particularly in the rural areas, there are PWDs who are still not registered, so this is an awesome opportunity for persons with disabilities,” she said. Co-founder of the Dorman family’s We Care Health Fair, Carol Higgins, told JIS News that the family decided to target PWDs this year, because of a family member, who has been disabled due to a recent motor vehicle crash. She informed that another family member died as a result of heart failure. Ms. Higgins said the family is motivated to give back to the St. Thomas community where they grew up. “We know how expensive health care is and all our lives as young children there was a doctor in our community, who always provided free health care to us. We saw the benefit of somebody giving free health care, so we are doing this to support the people,” she said. In addition to the JCPD, a number of other agencies will be on hand to provide services on the day. 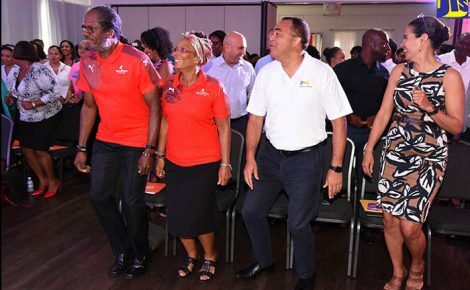 These include: Early Stimulation Programme (ESP), Programme of Advancement through Health and Education (PATH), Jamaican Association on Intellectual Disabilities, Registrar General’s Department (RGD), National Housing Trust (NHT), Tax Administration Jamaica (TAJ), Jamaica Fire Brigade (JFB) and the Bellevue Hospital. 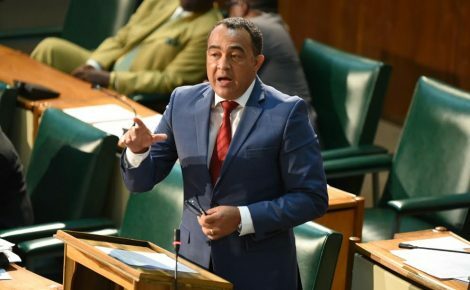 The Jamaica Association for the Deaf, Diabetes Association of Jamaica, general practitioners and counsellors will also provide services to the residents. The Dorman family has been hosting the annual health fairs in honour of late family matriarch, Leila Maye Dorman, who passed away in 2004.